If the purple-based mid didn't completely satisfy your "Summit Lake" needs, an inverted low-top is set to drop in the near future. 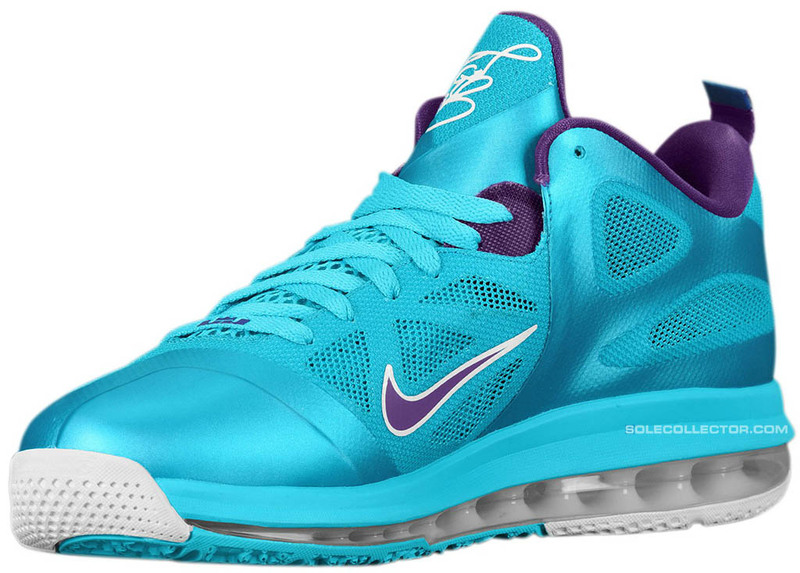 If the purple-based mid didn't completely satisfy your "Summit Lake" needs, an inverted low-top is set to drop in the near future. 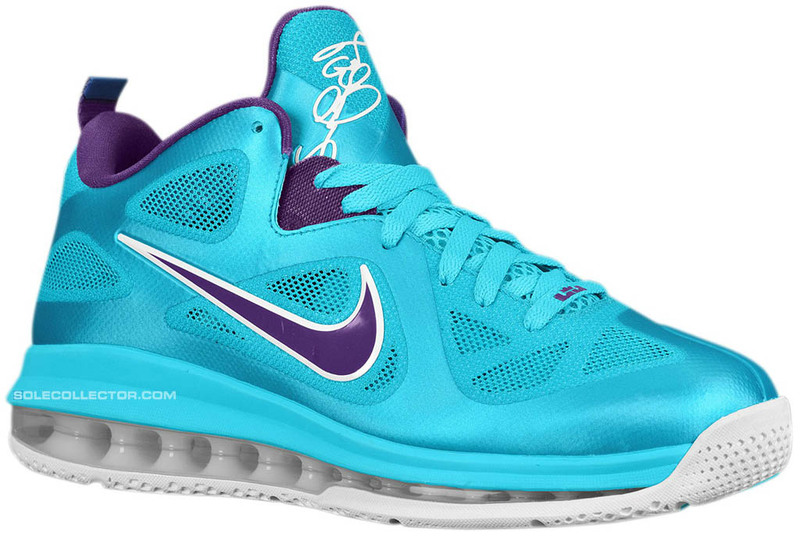 This LeBron 9 Low sports a metallic turquoise synthetic and mesh Hyprfuse-constructed upper, accented by Court Purple on the Swoosh logos, midfoot support harness, inner lining and heel pull-tab. 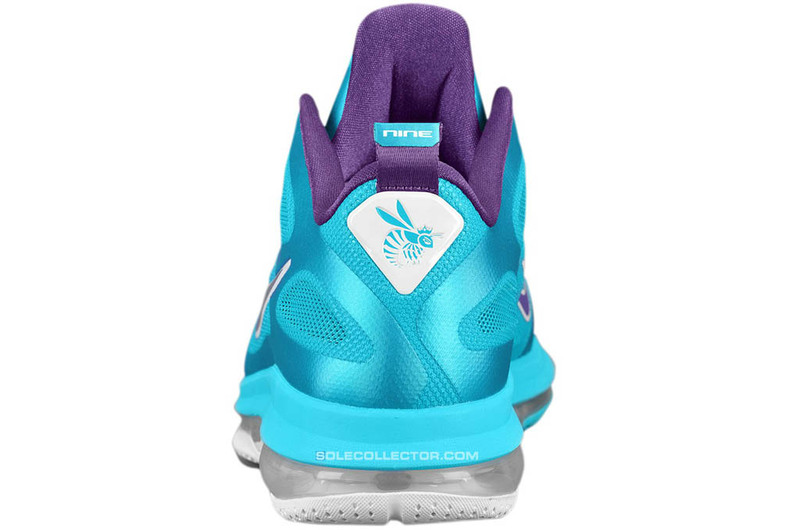 Once again making the style official is the Summit Lake Hornets logo on the heel, while white takes care of the tongue signature, heel tab, Swoosh border, full-length Max Air and outsole to finish off the look. Early word had these set for a June release, so stick with Sole Collector for more details as we approach the drop date.